Instant neck lift! It works. No surgery, No messy creams, No painful injections. Look years younger in an “Instant” with NeckTITE Magic. Unfortunately many women over 40 have unsightly lines, folds and sagging skin about the neck. Surgery is an alternative, however very expensive. Creams take months for any noticeable results – if at all. 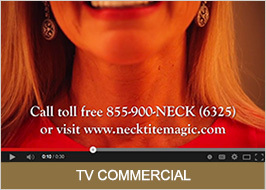 NeckTITE Magic works instantly in one easy application, each and every time you want to look your best. NeckTITE Magic dramatically smooths away neck lines, neck folds and neck wrinkles in one simple application. Lasts all day. You remove NeckTITE Magic when you want to, then simply throw away. Your Magic strips come in a 12-day supply box to use whenever you want. A night out, a luncheon, a special occasion, or just because it makes you look and feel beautiful. Just think ladies – no more turtlenecks or scarfs! 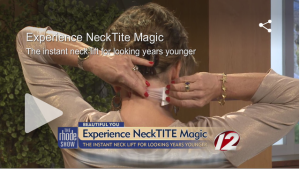 An Instant neck lift with NeckTITE Magic! Are you ready to look years younger now? You will LOVE the Magic! It’s feature is a simple application whereby you apply a precut and invisible tape to the back of the neck that once applied dramatically transforms your wrinkled, aging skin to a new youthful lifted appearance. The advantage; an instant necklift, painless, holds for hours, and is invisible to the eye. NeckTITE Magic strips are skin friendly, breathable and resist moisture. It’s benefits are that it is an instant solution, surgery free, costs very little as compared to other wrinkle reduction methods. It dramatically reduces the look of an aging neck by smoothing away lines, folds and wrinkled skin with one simple application. 1-Extra Wear Bottle contains 0.5 oz. of Brush on adhesive. NeckTITE Magic is a new, unique beauty aid that will revolutionize the cosmetic industry. It is a transparent, specially engineered tape placed behind the neck that holds wrinkled skin on the front of the neck taut, and youthful looking. 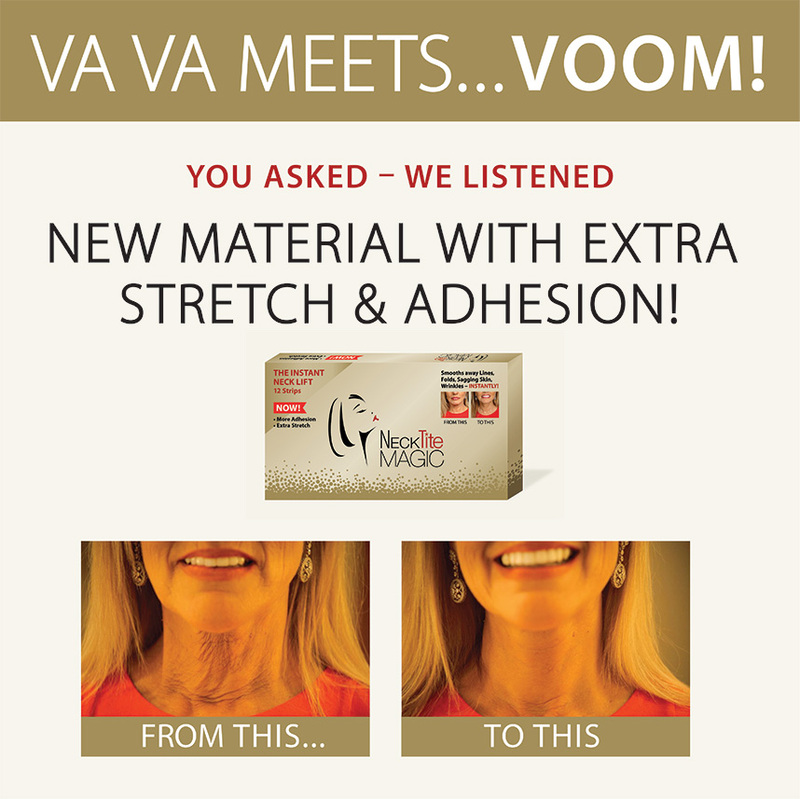 Unlike creams and other applications, NeckTITE Magic strips provide INSTANT results. An Instant Necklift! Don’t forget to take the Magic with you in your purse! An easy fashion fix or an inch or two of hair past the nape of your neck. That’s it! Please see Tips & Tricks section for Fashion Fix Ideas. * The services, claims and testimonials made on this website are subjective and based on the results of individuals who have used NeckTITE. 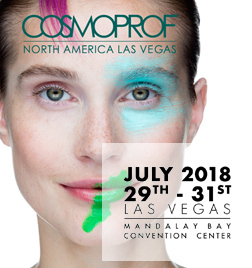 Results can vary from customer to customer, based on their skin type.